Children love playing with play-dough. It is a very malleable substance that is designed specifically for children. Although the spring and summer months usually bring nice weather to Maryland and the surrounding states, there are inevitably going to be days where your child will need to be cooped up inside. However, there are all sorts of ways your child can have fun and learn from the comfort of your home! Consider these sensory-friendly activities for your child! This timeless game has been putting smiles on children’s faces for decades. It is a fun and innocent activity that friends and family members can do together. Twister is an excellent way for a child to practice their motor skills by concentrating their attention on specific tasks. All of the twisting and bending helps to strengthen their joints and muscles. 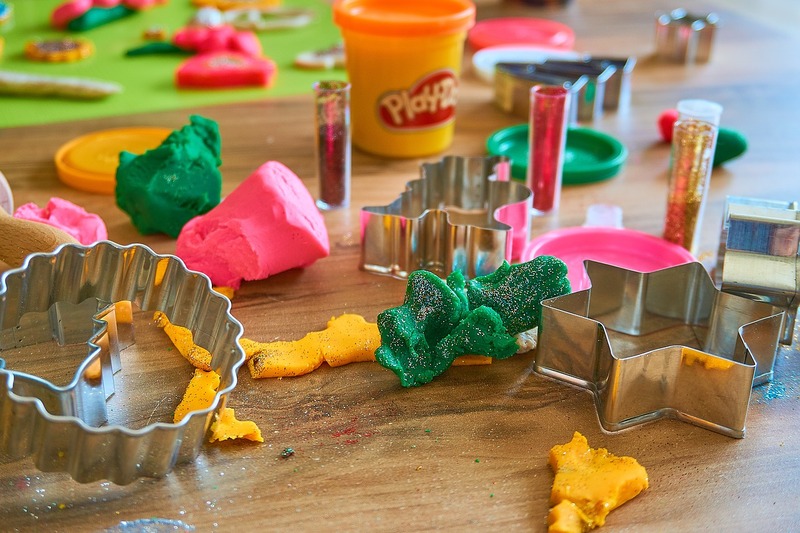 Children love playing with play-dough. It is a very malleable substance that is designed specifically for children. It is beneficial to children for many reasons. For one, it helps to develop a child’s fine motor skills. You may want to ask them to make something and watch their creativity run wild. It is best you provide them with a few different colors. It is also an excellent way for a child to relieve any stress or frustration they may be harboring. The only thing about play dough is that it does have a smell that some children have a negative reaction to it so you want to keep that in mind. Sometimes, it can be incredibly difficult to get a child to sit still. If your child is one of the many who tends to become overly excited, it is a good idea to have a means to calm their anxiousness. Puzzles provide a calming effect to all ages. Not only can puzzles be challenging, but they can also be a lot of fun! It can be incredibly therapeutic for a child to sit down with a parent and work on a puzzle together. This entry was posted on Friday, June 1st, 2018	at 10:15 am	. You can follow any responses to this entry through the RSS 2.0 feed. Both comments and pings are currently closed.